Back cover blurb: Husband, friend, colleague . . . killer? Charlie and Emily Swift are the Instagram-perfect couple: gorgeous, successful and in love. But then Charlie is named as the prime suspect in a gruesome murder and Emily's world falls apart. Desperate for answers, she turns to Charlie's troubled best friend, London Herald journalist, Sophie Kent. Sophie knows police have the wrong man - she trusts Charlie with her life. Then Charlie flees. Sophie puts her reputation on the line to clear his name. But as she's drawn deeper into Charlie and Emily's unravelling marriage, she realises that there is nothing perfect about the Swifts. As she begins to question Charlie's innocence, something happens that blows the investigation - and their friendship - apart. Now Sophie isn't just fighting for justice, she's fighting for her life. Investigative crime reporter Sophie Kent should be taking it easy after the sudden unexpected death of her brother. But when she comes across a murder investigation in central London her reporters instincts immediately kick in, and she can't help herself. Her boss at the London Herald is always hungry for the next big scoop, caring little about his employee's well being as is evident when he leans on Sophie to find out all she can about the dead woman being pulled from the Thames. But Charlie Swift is nowhere to be found, his wife Emily unsure of his whereabouts and his junior at the paper news desk concerned about his recent behaviour. Sophie is concerned that he's not answering her calls. That's not normal Charlie behaviour. And then there are the seemingly implausible but undeniable links to the dead woman. Was Charlie having an affair, or was there something even more sinister going on? Sophie can't believe that her oldest and most trusted reliable friend would be involved with any criminal activity or have an affair. But as more and more evidence comes to light, Sophie questions everything she thought she knew about Charlie, and the answers won't be easy to swallow. The Perfect Victim is easily one of the best crime novels I've read this year, from the refreshing and unusual perspective of an investigative reporter with a top detectives mind. Just brilliant. 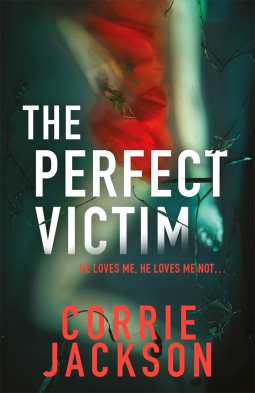 The Perfect Victim is available from 16 November 2017.